“There’s more than meets the eye” is a phrase that we all have heard at least once in our lives. Our bison herd at the Wildlife Conservation Society’s Bronx Zoo certainly embodies it. Most bison seen at zoos, and in the wild, are hybrids of wild bison and domestic cattle. Private ranchers used hybridization to increase their ranch populations, and those may have also crossed with wild herds. 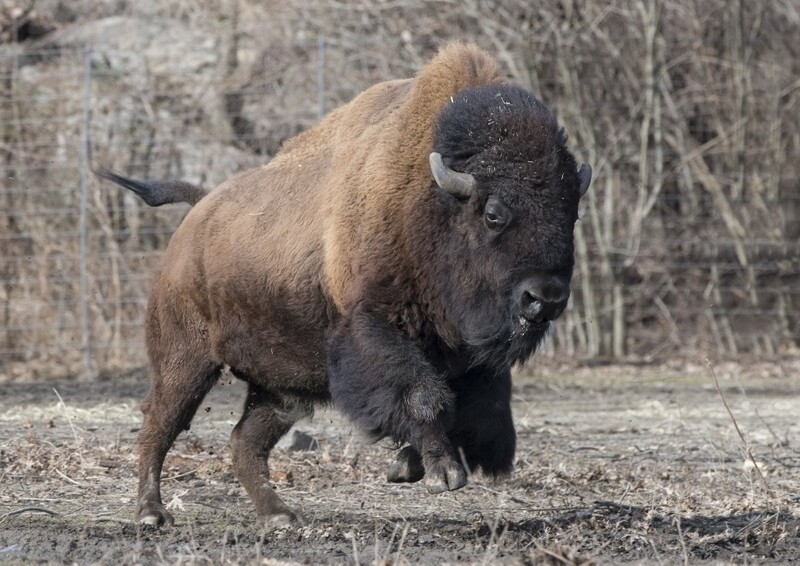 The good news is that our new herd at the zoo is genetically pure American bison and has a very interesting story. Our female bison came from a conservation ranch that houses and breeds purebred bison in the state of Montana. Our alpha male (above), known as Chaska (which means ‘First Son’ in Sioux), is the successful result of an embryo transfer. In 2012, the zoo obtained a research herd of hybrid bison cows that would act as surrogates for the implantation of genetically pure embryos. This past summer, our hybrid surrogates were implanted with frozen embryos with the hope that they will produce a genetically pure calf – just like Chaska. 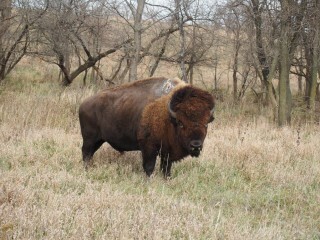 The ultimate goal is to increase the population of genetically pure bison for AZA accredited zoos across North America. 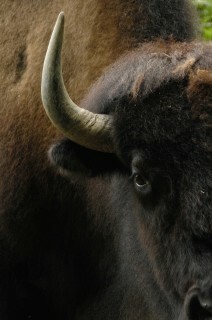 Recently, we introduced Chaska and his new herd of females to our 110-year-old bison exhibit. The results were very exciting to watch. The young bovines ran, jumped, and bucked in excitement while sticking together as a true herd. It was amazing to witness considering that the animals weigh between 1,100 and 2,000 pounds and can run up to 40 miles per hour. After an exhilarating morning, the herd decided to take a nice rest in their sand pit as our guests admired our national mammal. Our new herd is on exhibit every day at the Bronx Zoo directly across from the World of Birds where there is more than meets the eye as they explore their new home. Exquisite mammal and beautiful photograph which truly captures its majesty. Love that you are working to help this species thrive once more. Thank you for all you do. Thank you, Judith. 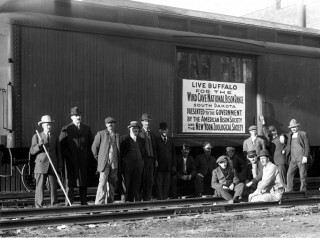 Bison have a long history with WCS. We hope you can stop by and see them at the Bronx Zoo.